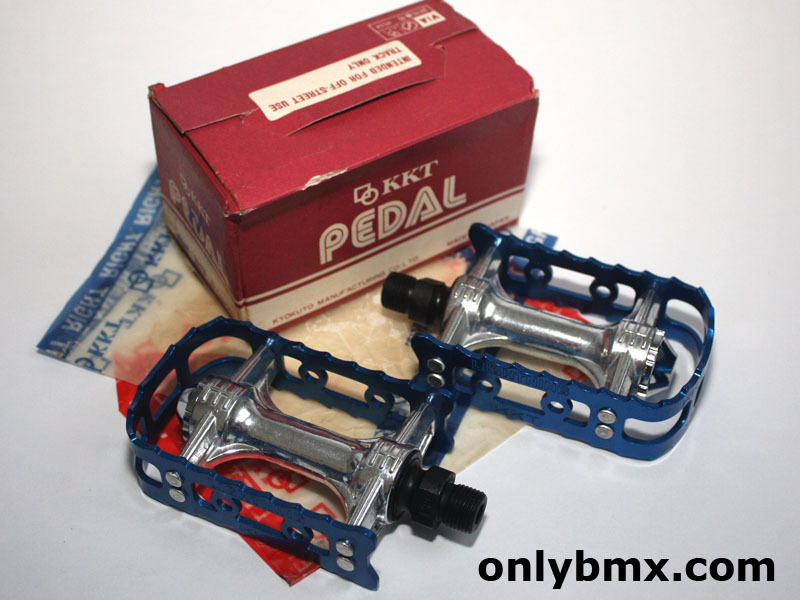 Pair of new in the box KKT Lightning or KKT FMX pedals. 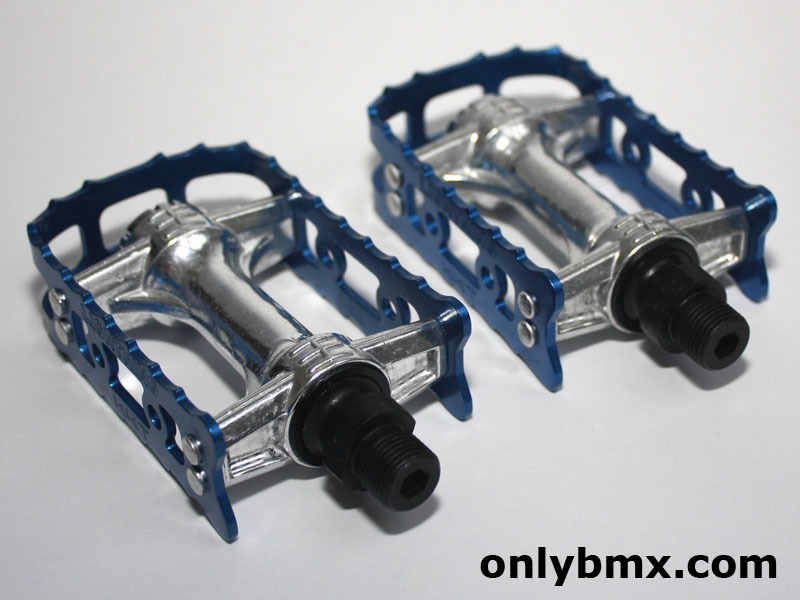 These are 9/16th spindles so they suit most three piece cranks. 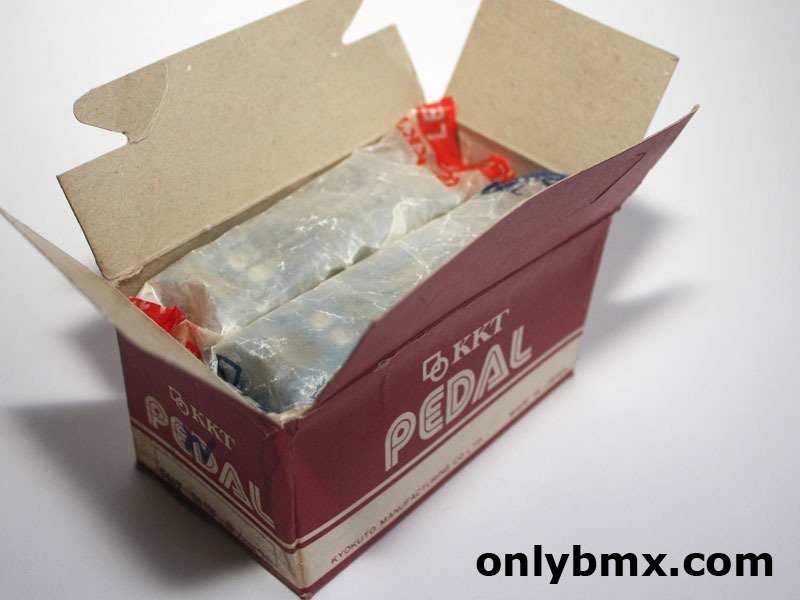 These old school BMX pedals were used on many BMX bikes from the late 1970s onwards. Still a perfect blue colour as they have been sitting in the wrapping in the box all this time.